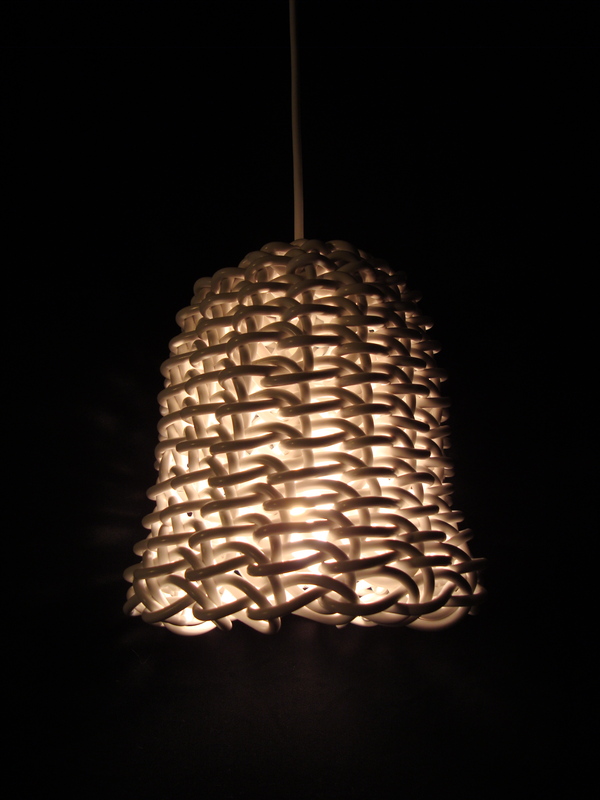 ‘In de Knoop’ is a lamp made out of one single electric cable. 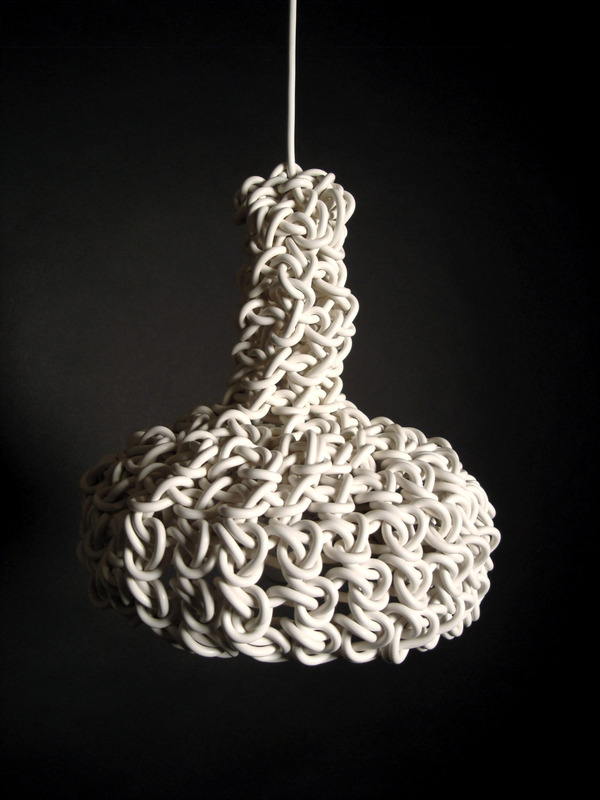 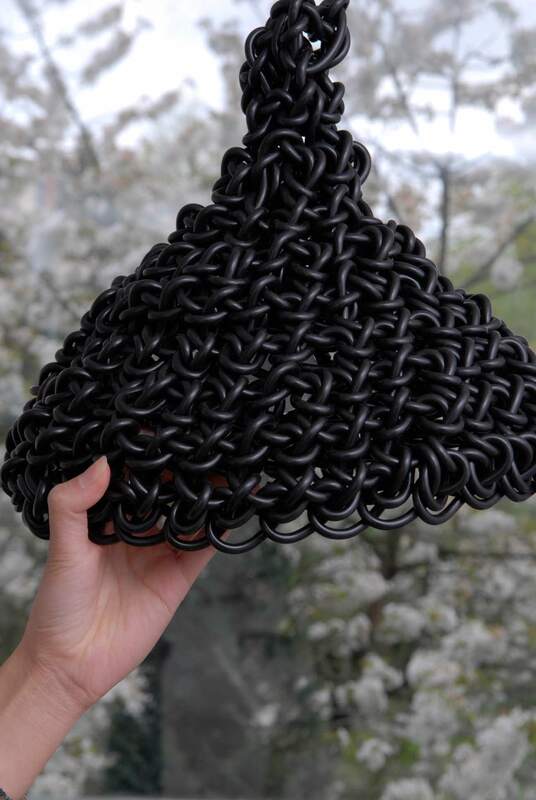 The cable is twisted, turned and knitted into the shape of a lampshade, and as a result, the electricity runs through each and every part of the lamp. 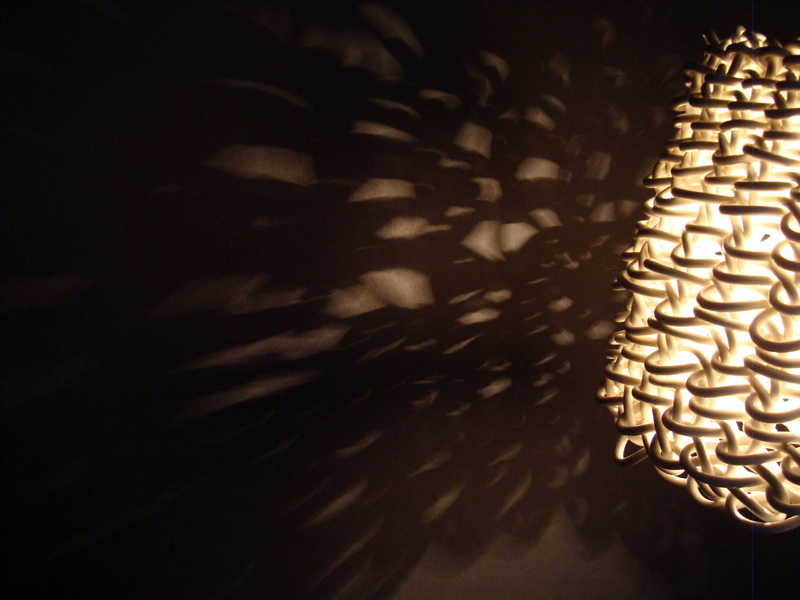 The idea was to use nothing more than two basic materials: a bulb connector and an electric cable. 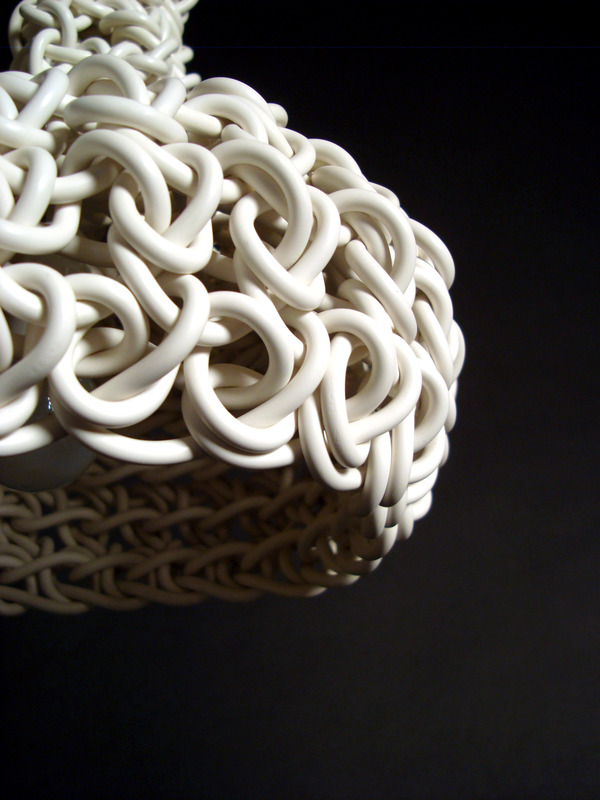 Since it is handmade by using a special crochet and knitting technique, each lamp is a unique and attentively made experiment in shape. 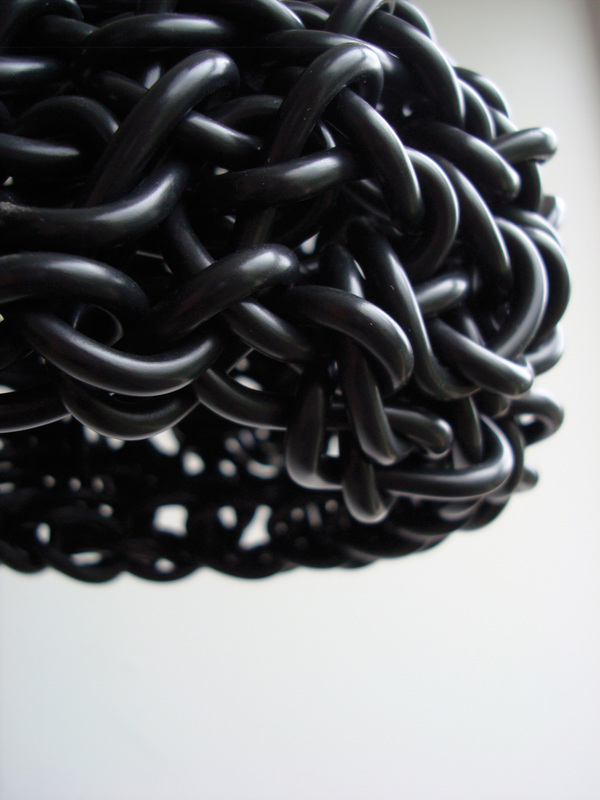 ‘In de Knoop’ was an experiment in 2006 and is developed in 2009 to an exclusive and astonish lamp.